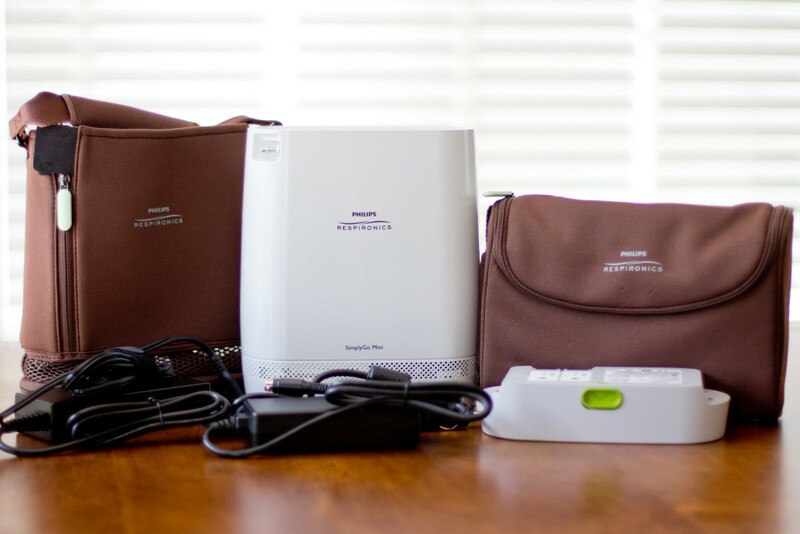 The SimplyGo Mini portable oxygen concentrator is the latest edition to the respiratory product line from Philips Respironics. Following the clean design lines of its predecessor, the SimplyGo, the Mini offers high oxygen capacity in a compact size. The SimplyGo Mini comes standard with the SimplyGo Mini concentrator in an attractive carry bag, matching accessory bag, AC and DC adapters for home and car, and one (1) rechargeable battery. The SimplyGo Mini offers two battery options – the Standard battery provides 4.5 hours on setting 2 and keeps the overall weight at 5 pounds while the Extended battery provides 9 hours on setting 2 and increases the overall weight to only 6 pounds. Most retailers will provide additional batteries at a discounted price when you add them to the purchase of your SimplyGo Mini. Other optional accessories include a desktop battery charger, backpack in brown or black, and black carry and accessory bags. The SimplyGo Mini is currently awaiting approval by the FAA; however, individual airlines may allow its use, so check with your airline before traveling. Lightest POC that delivers up to pulse setting 5 – only 5 lbs. Oxygen output levels are strong and not misleading. Other manufacturers often provide oxygen output figures using only 15 breaths per minute which is fewer breaths than most people take in a minute. The Mini output levels are provided for 20 breaths per minute, which is more in line with average breathing rates. Carry Bag – The SimplyGo Mini carry bag has nothing across the top of the bag to prevent the unit from slipping out if it is picked up incorrectly and turns upside down. This would rarely be a problem, but I’d hate to see your investment end up damaged on the ground after falling out of the bag. Just be aware of this and use caution when picking up the bag to be sure it is upright. All-in-all, I am impressed with the SimplyGo Mini. It is a great option for oxygen users seeking a small, lightweight unit, but need or want the option of higher pulse flow settings. Also, those who are noise sensitive, or who were unsatisfied with the loud purging sound of the Inogen One G3, will be very pleased with the quietness of the SimplyGo Mini. I would not hesitate to recommend the Mini to many oxygen users. Can you advise how long the extended battery will last on a pulse setting of 5? The manufacturer does not provide official numbers, but their technical support team says that the Extended Battery will last about 4 hours on setting 5. It is no longer the lightest 5 liter POC. The updated Inogen g3 is 4.8lbs compared to the mini’s 5lb. G3 also has a maximum output of 1050 mL/min and is only 39 decibels of sound compared to the mini at 43 decibels. The updated g3 is also exactly the same size so that makes it smaller than the mini. And is also FAA approved unlike the Simplygo mini. The standard SimplyGo Mini comes with a 1-year sieve warranty. Resellers can purchase an extended warranty, but most will not likely do so since the cost is prohibitive for competitive sales in the retail market. However, since the columns can be warranted for 3 years it is expected that they would last 3 years or more before requiring service. Costs are not available yet, and may not be for quite some time since no unit has surpassed the 1-year warranty. Based on the costs for the original SimplyGo, you can expect the Mini sieve tubes to cost about $150-$200 for service. I NEED LIGHTWEIGHT PORTABLE OXYGENATOR ASAP: BEST AND MOST RELIABLE RECOMMENDED;7-8 HR. BATTERY; 5 LBS. OR LESS WEIGHT; BEST WARRANTY; BEST OVERNIGHT SERVICE; 2 SETTING; NEED FOR AUTO AND CRUISE TRAVEL; EXTRA BATTERY; NEED INFO NOW AND THANK YOU! The SimplyGo Mini would be a great choice. Please note that I do not sell the units; I only provide information about them. Hello. Which is the better option for a person that needs 24 hours support or that depends of the oxygen she is not able to demend the oxygen she needs continuos pulse. The Inogen G3 or the Mini Simply go? For someone who required continuous flow, neither the Inogen One G3 or the SimplyGo Mini will work since both are pulse only units. For continuous flow, she would need the regular SimplyGo or a SeQual Eclipse. I am interested in the simply go mini. Is it FAA approved? If pending do you know when? No, the SimplyGo Mini has not yet been approved and, unfortunately, I do not have any information on an approval date. The differences are so negligible that, at this point, I think they are equally comparable and I do not have strong opinions about the value of one over the other. 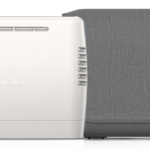 Can a user sleep with the Philips Mini as one can with the inogen G3? Both units are pulse only so either unit can only be used at night ONLY IF you breathe well through your nose and can trigger the pulse. Since most people have shallow breathing while sleeping or breathe through their mouth, neither unit may be suitable. Inogen may advertise that it can be used for sleep, but it is usually not recommended by doctors. I do not sell products; I only write about them. Some online companies, like OxiMedical.com, offer a trial period that allows you to return your purchase without a restocking fee. Given the value of the units, I am not aware of any company that offers a free trial. Hi, Can the SimplyGo Mini be used with European adapter? The AC Adapter will adjust automatically to 220V power in Europe. You will only need a prong adapter to fit the electrical outlet. I notice on the You Tube video of tthe Mini a user mentioned that the Mini will not function on 4 or 5 lpm when charging in the vehicle. Any info regarding this statement? The manufacturer states that the DC Power Supply may not charge the battery when the device is running on setting 4 or 5. An automobile will first direct power to its own systems, then to the auxiliary power outlet. The Mini will take the power provided by the auxiliary outlet and first direct power to operate the unit, and then finally to charging the batteries. With some vehicles, it is possible that the Mini does not receive enough power from the auxiliary outlet to charge the batteries at the higher settings since it needs more power to provide oxygen. So where does the Activox 4L sit in this comparison? In comparison, the Activox on setting 4 provides less oxygen than the Mini on setting 3. Otherwise, it is a similarly small unit with long internal battery life. Yes, Philips offers a desktop battery charger for the Mini batteries. OxiMedical provides great information in their tabbed content. Look under Learn More for information on battery duration and Accessories for the battery charger. Allison, you are providing a wonderful service – bless you! I already have two Activox, but I’ve had to send both of them in for service, twice. Today I ordered the new SimplyGo Mini. Anxious to see how well it works for my exercise induced asthma. I’ll sign up for your emails and give you a report when I know how it’s working for me. Thanks again for all you do. Allison, please tell me what dealer you recommend. You mentioned a name once, and I’ve lost it. I need to buy a cart for my SimplyGo Mini. I ended up buying two SimplyGo Minis and a SimplyFlo to use at night – am VERY happy with them. The Mini is only 5 pounds, but I’m a small person and the weight is too much for me to carry and walk any distance. Buying oxy equipment is like doing business with a car dealer. When you go to their websites they stalk you. I can tell you who NOT to buy from. OxiMedical is a dealer I have recommended because they have a good reputation for sales and service. Thanks so much – I have OxiMedical bookmarked now! Based on a recommendation from someone else on your site, I’ve ordered the Trolley Dolly (in brown, from Amazon) to use when walking long distances with my SimplyGo Mini. Thanks Allison for all your advice. Question – On a long 10 hour flight a person may nap . Will this be a serious problem for a pulse unit like the mini? I would not expect it to be; however, since it depends on your breathing patterns and oxygen needs, this question would best be answered by your doctor. Hi Allison I was wondering is I can be able to use the mini with my Bi-pap ? Unfortunately, no. The SimplyGo Mini is a pulse only unit and requires a direct breath inhalation to trigger the pulse of oxygen. Your Bi-PAP machine would prevent the necessary inhalation, thus requiring a POC that provides a continuous flow of oxygen such as the Philips SimplyGo or SeQual products. I’ve had my SimplyGo Mini for about a month and it’s working great for me. Much lighter weight than my Activox, and it is very nice looking. I’m interested to see a comparison between the SimplyGo Mini and the new Inogen G4. What is maximum using time for Simply go mini per day?? Is it reguired any rest time for the machine after using very long time?? The manufacturer provides no instructions about a required rest time after extended use. If you are concerned, you may inquire with the factory at 1-800-345-6443. Thank you for sharing your professional experience with my readers. How do you check the Purity levels, on the mini’s? The Mini has a built-in purity monitor that will signal if the purity is below normal. Manually checking the purity on all oxygen concentrators requires an oxygen analyzer, which unfortunately, is a rather expensive device. You mention that the Simply Go Mini provides 20% more oxygen than other five pound models. What are the comparisons and can you show the calculations? Thank you. 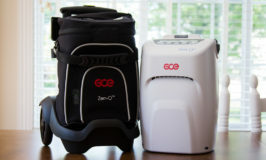 The SimplyGo Mini provides up to 1,000 ml/min, which at the time of writing was 20% more than the nearest competitor, the Inogen One G3, which provided about 800 ml/min. Since then, Inogen has released a higher flow Inogen One G3. The G3 now provides up to 1,050 ml/min, making it slightly more powerful than the Mini. My father has severe COPD. His O2 saturation level is between 90-92 at rest but drops to low 80s during walking. The doctor said that he does not require O2 at rest but recommends that he takes 2 lpm continous flow while sleeping (he also uses a bi-pap). The doctor also said that a pulse POC is good for walking. I want to buy a simplygo mini however, having read some of the previous comments on your posts, I am somehow worried that it wont meet his oxygen demands. The thing is the other devices are too heavy and he wont be able to carry them around. Based on your expertise, do you believe that the simplygo mini will be suitable for him? The SimplyGo Mini provides up to pulse setting 5, which should easily meet your father’s daytime walking oxygen needs. Just in case, I recommend you purchase it from a company that has a good trial period and return policy to safeguard against a wasted expense. Something you may want to consider for your father. At Walmart you can get a really nice little cart called the Dolly Trolley. When I know I am going to be doing a great deal of walking I put my POC on the handle. The extra weight off my shoulders/or back really makes walking much more enjoyable and the Dolly Trolley is a breeze to move. It really has made a great improvement for me. When shopping in any store than has carts, they -POC goes in the cart, I can buzz around all day long and I’m 73 on 3 or 4 liters with a G3. Good luck. I have copd,chronic asthma, fibromyalgia and am new to oxygen concentrators. I’m isolated where I live and my doctor isn’t real experienced with them either. I’ve been looking and comparing prices of second hand oxygen concentrators. My nebuliser that has been used like mad and constantly is part of the Phillips Respironics range and I’ve had that for nearly 10 years and it’s still running like a trooper… I’ve been talking to someone who has 3 xImogen One G3 Portable Oxygen 2013 purchased ( that made me wonder if there was something wrong with them) I wanted to stick to the Philips Respironics range if they continued to be reliable so been checking out the Easy Flo home use, Simply Go ( but worried it may be too heavy as my handbag is too heavy to carry at the moment it exhausts me more) and worried that the mini wouldn’t be enough umph… It gets really quite confusing reading everything. From what I can gather the recommendation is pulse but continuous flow option when things aren’t great. I need to be able to get out the house. Been either in hospital or in house for months now and missing out as can’t breathe and don’t want to miss out on a very special event coming up so need the right advise for the right poc. I’m on disability so funds are very limited I can’t just up and buy a new one if one doesn’t suit my needs. Your help is very much wanted ASAP. If the person you’ve been speaking with who has 3 2013 Inogen One G3s is an authorized Inogen dealer, then I would not be concerned since they most likely buy and sell used equipment frequently. Just be sure you receive at least a 6-month or 1-year warranty with your purchase. Also note that the older Inogen One G3 units are noticeably noisier and may not work will for your needs. The new Inogen One G3 is the High Flow model that provides up to setting 5 pulse. It is reliable and quieter and would be a good option for you if it meets your oxygen needs. I write from México. My mother was diagnosed with Pulmonary Fibrosis 3 years ago. She has been using Respironics Everflo at night and sometimes during the day. Right now it’s almost impossible for her to do her daily activities withouth oxygen. That’s the reason why I’ve been checking out some portable concentrators and just today, I found out that Phillips is already selling the Simply Go Mini in the US. I’ve been trying to reach Phillips in Mexico by phone, but it’s just impossible. I sent them an e-mail, but meanwhile, I would like to know if in case I can’t find it in México, and I buy it in the US, do you think it could be possible to make the guarantee valid here in México? I’m also worried about the filter, when service is needed, do you think I have to send it to the US? Thank you so much for your time and your help. It’s not usual to find people willing to help others with no thought of personal gain. Since I do not sell equipment I am not certain, but I think that if you purchase a unit from the U.S. you would have to return it to the U.S. for repair. Your warranty is actually held by the original purchaser, which is the dealer that you buy the unit from. That dealer would not be able to request factory service in Mexico or any country outside the U.S. Try as I might, I’m having trouble nailing down the Pulse vs. Continuous conversion for output, and whether the Mini is suitable for my needs. I am currently on 2 liters per minute, and would like to know what (if any) setting on the Mini would be equivalent. Can you help me? Unfortunately, there is no exact conversion for pulse vs. continuous since the amount of oxygen you actually receive from either flow of oxygen depends on your specific breathing patterns – frequency, duration and how deeply you breathe all affect the amount of oxygen you inhale. The amount of oxygen delivered also varies from one model to another, as explain in this post. Most people are able to use the same flow setting on pulse as they do on continuous, while others may need to bump up the setting when exerting themselves. Ultimately, the setting that you need is the one that keeps your blood oxygen at a level your doctor recommends, which you can only determine by trying a machine and test your blood oxygen saturation using a fingertip pulse oximeter. I was told that Simply Go Mini has a 35% fail rate for what I’m not certain, could you provide some insight pertaining to anything that may have created this % failing? The Mini does require routine maintenance for the sieve columns. However, this is normal for all 5-pound POCs. The Mini may be offered with a 1-year or 3-year warranty on the sieve columns. It is unlikely that the columns will last 3 years, thus warranty service is required if still under warranty, or an out-of-pocket expense is required if out of warranty. I would not consider either instance a failure since other 5-pounds units, such as the Inogen One G3, have only a 1-year warranty and require replacement at an average of 18 months. I am not aware of other issues with the Mini that would warrant the claim you were told. My Mother 63 Years and an ILD patient . Doctor have advised Oxygen for her based on her capacity. We have tested Inogen G3 at 3 setting and she was able to maintain Oxygen at 92 but when she walks or goes to washroom it falls to 50 . The output of the SimplyGo Mini will be about the same as the Inogen One G3. Both of these units provide minute volume delivery so your mother is receiving the same amount of oxygen over the course of a minute when she is walking as she would when she is sitting. Since her breath rate most likely increases when she walks, she is actually getting less oxygen per breath as she breathes faster. If she likes the smaller size of the G3, you may want to consult with her doctor to increase the flow setting when she walks. The G3 goes up to pulse setting 5. The SimplyGo provides uniform oxygen delivery so as her breath rate increases your mother would receive the same amount of oxygen per breath (up to 40 breaths per minute), thus providing more oxygen over the course of a minute. The SimplyGo would be much more effective in keeping your mother’s oxygen saturation up when walking. The trade-off is the SimplyGo batteries would not last as long and the unit is twice and heavy and would need to be pulled on a cart. Trying to decide between the CAIRE Freestyle Portable Concentrator (16 cell battery) and the Respironics Simply Go Mini Portable Concentrator (double battery). Both will give me what I need and wondering about which one has better repair record ? The CAIRE FreeStyle is newly released and I have heard that it has some issues that have yet to be worked out so at this time I would recommend the SimplyGo Mini which has been out for several years. You may also want to consider the Inogen One G3 which has been out for quite some time and has a good repair record.